While Linksys unveiled their new router that prioritizes internet speeds for the Xbox One, Netgear is announcing two new Nighthawk routers: the Nighthawk Pro Gaming WiFi router (XR500) and the Nighthawk Pro Gaming SX10 10G/Multi-Gig LAN Switch, which offers best-in-class features and improved internet speeds for uninterrupted gameplay. The Pro gaming router streams simultaneously to multiple devices on the same network, so multiple people can game on the same network without performance getting hindered. Furthermore, the geofilter guarantees a local connection alongside creating preferred server lists. The Dual-Core 1.7GHz processor also supports multiple devices for improved 4K streaming. 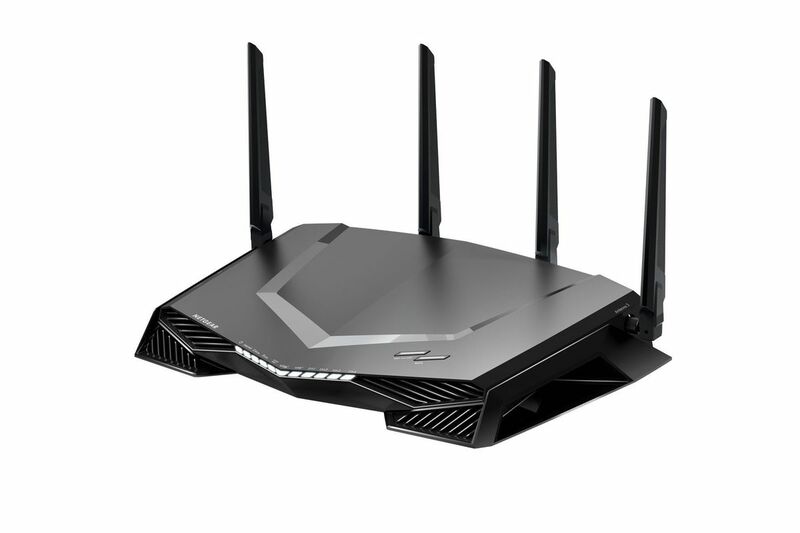 There are dual-band WiFi and up to 800+1,733 Mbps of wireless capability, making it quite a fast router for gaming. Then there is the Pro Gaming Switch, which promises “close-to-zero” latency, as ports will automatically adapt to deliver the speed that users need, up to 10Gbps. Better heat dissipation is included on the Pro Gaming Switch, thanks to the aluminum enclosure. Even the RGB LED lights can be individually controlled. Both the router and switch is available now in the United States for $300 each. Stay tuned to TechDependent for more CES 2018 coverage. To get caught up on everything that has happened so far, click here.